There are times that the heart of a food lover rejoices. When you discover a creation which combines two products you love. Origin chocolate and single malt whisky. So many years ago, discovering single malt whisky marked the start of my journey in the world of fine flavors. Years later on, origin chocolate became a passion. The idea of combining both is not new, yet it is the first time I find them melted together in a single chocolate bar. I’ve attended chocolate/whisky pairings in the past. They are always good fun, but make clear that both products may strengthen each other or clash in a violent way. A chocolate maker who want to create a bar where both strong flavored products form a marriage, must be willing to experiment and be persistent in order to find a true match made in heaven. Chocolate Tree, a Scottish small batch chocolate maker run by Alastair and Friederike Gower – based in Haddington, is up for the challenge. 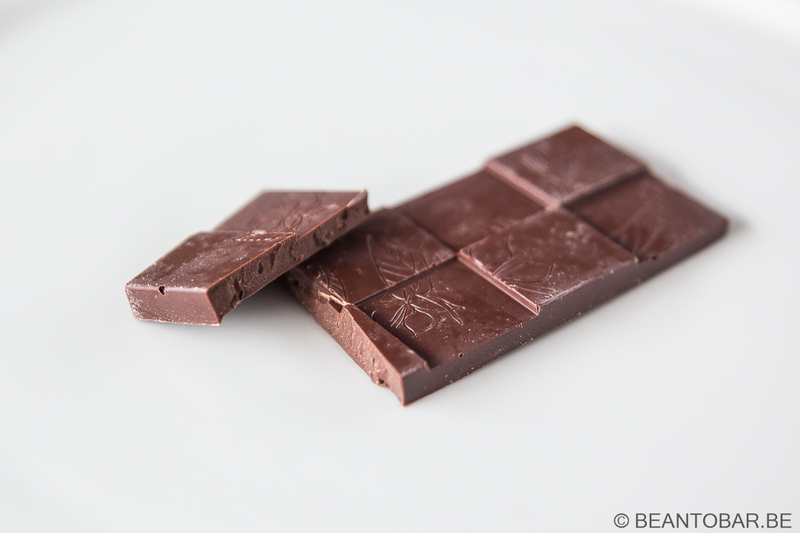 They create bars using fine flavor cocoa, grown in distinct origin regions. By keeping close relations with the farmers, Chocolate Tree seeks to buy the best quality fermented and dried beans. From there on, they take matters in their own hands and create the final product from bean to bar. Apart from a fine range of origin bars, the company is also known for a variety of chocolates with inclusions. Given the number of awards they have won in the past years, they clearly know how to make a fine chocolate. Let’s see if Chocolate Tree found a golden pairing. The bar in front of me today, combines fine Peruvian cocoa (according to the website), cocoa nibs and Scottish single malt whisky. The production process is quiet different from what we normally see in flavored chocolates. The whisky is not simply blended into the chocolate mass. A part of the Marañón cocoa beans used in the bar, are soaked in the Scottish Islay Whisky. Once the alcohol has evaporated, the beans are turned into nibs and added to the chocolate. So in fact they used infused inclusions. Choosing an Islay Malt is daring. The single malt produced on this Scottish island is renowned for its peaty flavor notes. But peat comes in many different forms. It can be subtle and smooth as a whiff of smoke. Or it can be straight up bold and overpowering, taking you by surprise. Choosing the right scotch is key to success here. The chocolate bar comes in a distinct, large square box. A big condor shaped drawing sets a South American mood. A dark brown ribbon across the box displays all the needed info. Chocolate Tree’s logo in gold – Whisky proudly bold and white, info on the company and on the bar inside. Luxurious looking overall and very recognizable. The box flips open like an envelope and reveals a nice surprise. Instead of one big bar, you get two smaller, separately sealed rectangular bars. Great idea. I never finish a bar in one sitting, so this keeps the other part of the chocolate nice and fresh. The bar itself show a well know design in the craft chocolate world. 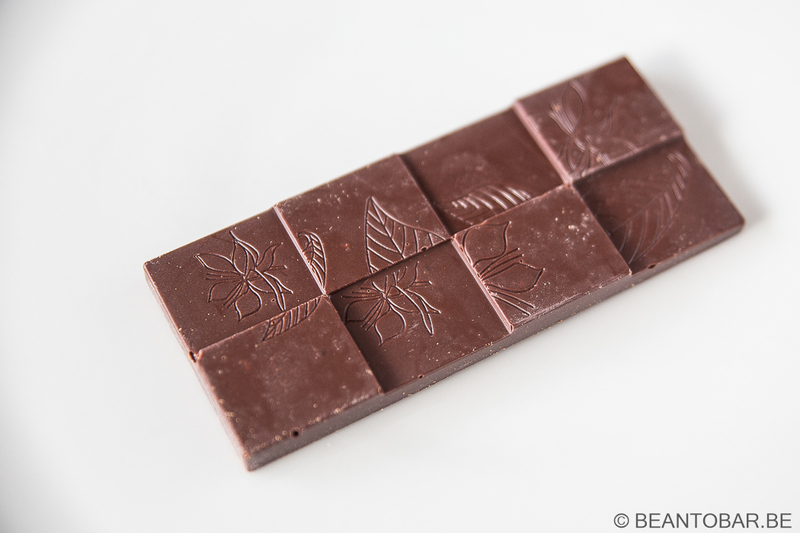 Each bar made out of 8 pieces with the imprint of flowers and leaves and a nice elevation difference between the pieces. Works like a charm. Opening the wrapper of the chocolate made my head spin. Immediately I was met with wonderful and tantalizing aromas! Aroma: Chocolaty, and peat… subtle Islay peat and leather. On further sniffing, it surprises me to find the peat perfectly blending with earthy cocoa as if they were a natural marriage. Taste: An immediate sweet start, where nutty, chocolate notes mingle with sweet flavors, developing to fruity sweet cherry. While the chocolate melts, you actually have a sensation of sipping whisky – a tingling start in the mouth, slowly builds in intensity towards a nice single malt Islay flavor. Sweet and warm starting (cooked pear and cherry evolve to smoky and mingle in with just the right amount of peat – entwined with a sea side saltiness). The cocoa nibs add a nice earthy note, perfectly melting together with the peaty whisky notes. They force you to bite every now and then, releasing more flavor. 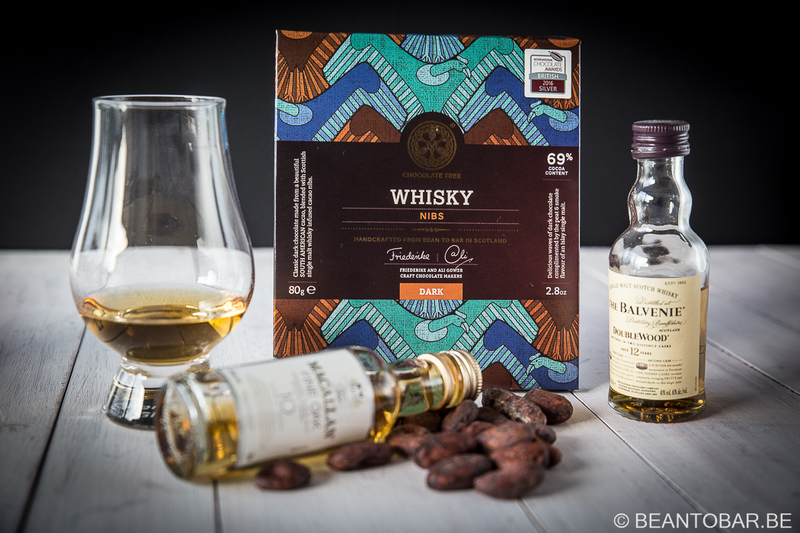 Once the chocolate has melted, the whisky notes subdue and the chocolate comes emerging more distinctively again and leaves you with warm autumn notes of nuts and honey. Well balanced a surprisingly complex, this bar show how “infusion” should be done. Cocoa and whisky blend together to near perfection. No overpowering ingredients, just a dance of aromas. At 69% cocoa, this chocolate seems to stand his ground firmly against the whiksy notes. This is by far the best flavored bar I tired up to date! A job well done Chocolate Tree. However, I might understand that people who are new to sing malt whisky or have a dislike of peated malts – might not agree with me. But trust me on this one. It is sublime for those who like these flavors.